Happy (belated) Birthday, James Joyce! Recently I finished reading Eric McLuhan's extraordinary work of scholarship, The Role of Thunder in Finnegans Wake, after having thumbed through it for about five years. An extremely rich, thoroughly detailed, original and astute analysis, it's not always easy reading but its insights are manifold. It ranks up there with Joyce's Book of the Dark by John Bishop and Wake Rites by George Cinclair Gibson among the best analytical Wake studies I've ever read. Eric McLuhan, son of the famous Canadian media philosopher and Wakean Herbert Marshall McLuhan, takes his father's theory on the meaning of the Wake's ten thunderwords (1,001 letters in all) and explores it in thorough detail for the reader, breaking down the elements of each thunderword to their most discreet etymological units, examining the hundreds of polylingual resonances therein, proving how each successive thunderword piles on the themes of its predecessors and encapsulates the themes of the section of the text where it appears while also signaling a shift into a new technological age. McLuhan's The Role of Thunder in FW opened up many portals for me. I'm sure you'll be seeing references to it pop up in my upcoming posts here and hopefully I can write a full review of my experience with the text sometime soon. For now, I just want to touch on one of the core aspects of McLuhan's study that left an impact on me and which resonates with the name I chose for this blog, "Finnegans, Wake!" McLuhan's book focuses on the Wake as being part of the tradition of Menippean satire, a form of Cynic parody which aims to jolt the reader into a renewed, heightened awareness of how their senses have been numbed, leading to a clarified perception. Finnegans Wake performs this action by putting daytime rational language to sleep, "otherwise the 'conscious levels' would obtrude upon or obliterate all the others." (McLuhan, p. 30) We are all somnambulantly wandering thru the conscious surface of our hyper-rational language, stuck in the world that cut-and-dry system of words and meanings creates for us. Joyce instead turns language into a wild circus, throwing every verbal trick imaginable into the mix and demanding that we not merely look at the words on the page but speak them aloud, awakening the auditory sense and adding new dimensions to our experience of words. Every part of the Wake is a pun, including the title. The name of the main character, Earwicker, carries many meanings, I often think of it as "ear-waker" awakening the ear. McLuhan points out that the German ihre Wecker means "alarm clock." The Wake's thunderwords contain its densest concentration of these forces. To the great and powerful, remember you're human. To the proud, remember you're mortal. One last thing I want to mention here is McLuhan's discussion about the Letter at the center of the Wake as being a red herring. Joyce confounds and frustrates the reader looking for a literal meaning for the Letter and its importance, making us focus instead on the linguistic games used to obscure our pursuit of meaning. I'll spare you any more of my scattered responses to McLuhan's book for now. I was sad to learn that Eric McLuhan passed away last year on May 18, 2018 at the age of 76. Now I wish I'd have taken the opportunity to get in touch with the man to discuss his richly fascinating perspective on Finnegans Wake, Menippean satire, and technology when he was alive. Check out the post "Remembering Eric McLuhan" over at the excellent "McLuhan Galaxy" blog to learn more about his life and career. Also go read this piece by Eric McLuhan's son Andrew in remembrance of his father. You might also dig this this interesting piece by Robert Guffey in "Paranoia Magazine" that touches on McLuhan's theories on the thunders, Joyce's technological insights, and other adventures in thought. The Museum of Literature Ireland (MOLI) has launched a 24/7 digital radio broadcast featuring discussions, interviews, radio plays, documentaries and more. Listen to it HERE. I have it on in the background right now, they are currently playing an audiobook version of A Portrait of the Artist as a Young Man. 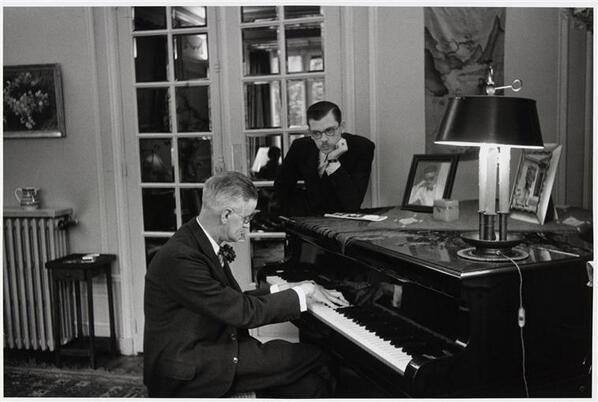 The radio program launched last night for Joyce's birthday, kicking off with the famous recording of Joyce reciting the end of the Anna Livia Plurabelle episode and they even played a rendition of the "Ballad of Persee O'Reilly" from Finnegans Wake. This RTE program featured a terrific segment on the history of the legendary pirate queen Grace O'Malley, the real life figure satirized in Joyce's fiery Prankquean character (discussed in my last post). Listen to the 27 January episode to hear the segment. Over at his always interesting "Swerve of Shore" blog Peter Chrisp details how Joyce provided Guinness beer with a new slogan in a passage from Finnegans Wake while touching on Joyce's penchant for devising new ideas for advertising. The next James Joyce Symposium will take place this June in Mexico City. "Joyce Without Borders" is now accepting proposals for papers. I'm currently working on mine. The theme and location of this event promises something special. I've been to a few of these conferences now and they're like Disneyland for bibliophiles. Very much looking forward to it! New online FW reading group "Blotty Words"
Carol Wade has been creating truly stunning paintings of pages from Finnegans Wake for a while now with her "Art of the Wake" project. Now she has launched an online FW reading group called "Blotty Words" which is being run thru this Facebook page. Sweny's Pharmacy, one of the locations featured in Ulysses (where Bloom buys Molly some lemon soap) is in trouble as the surrounding neighborhood has experienced extreme gentrification and rising rents. The rent for Sweny's, which has been in the same spot since the 1850s, doubled in the past year. A cultural landmark that features daily readings of Joyce and hosts Bloomsday celebrations every year, they are asking for support to help them stay open. You can go HERE to pledge as little as $1 per month thru Patreon to help this landmark of Joyceana stay alive. "Waywords & Meansigns" mastermind Derek Pyle and documentary filmmaker Gavan Kennedy will be participating in a weekend celebration hosted by the James Joyce Centre in Dublin in honor of the 80th anniversary of the publication of Finnegans Wake which was officially released to the world on May 4th, 1939. Read more about this event HERE. Another big event scheduled to celebrate the 80th anniversary of Joyce's masterwork will be this three-day symposium at Trinity College in Dublin, scheduled for April 11-13. Lectures and panels will focus on encouraging "a synthesis of thematic and formal approaches to the Wake through genetic approaches, that is, to look at its stylistic and linguistic complexity through the prism of the notes and manuscripts on which it was written during the period 1922–1939." Read more about this symposium HERE. A blog devoted to Finnegans Wake containing interpretations, reflections, relevant links, and other information concerning James Joyce's greatest but least-read masterpiece. 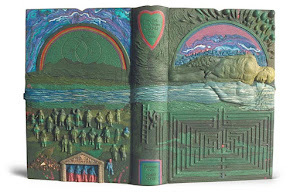 This is also the homepage for the Finnegans Wake Reading Group of Austin, which takes place on the first Tuesday of every month at 7 PM (location changes, e-mail me for details); and at Malvern Books on the third Thursday of each month at 7 PM. A 33-year-old Joyce enthusiast. Not an academic or "official" scholar, just a dude with a passionate curiosity combined with an addictive reading/writing habit. And there is no better book in the world for such "curious dreamers" (p. 577) than the endlessly churning machine of meaning-drenched musical nonsense that is Finnegans Wake. I also host a Finnegans Wake Reading Group here in Austin, TX.